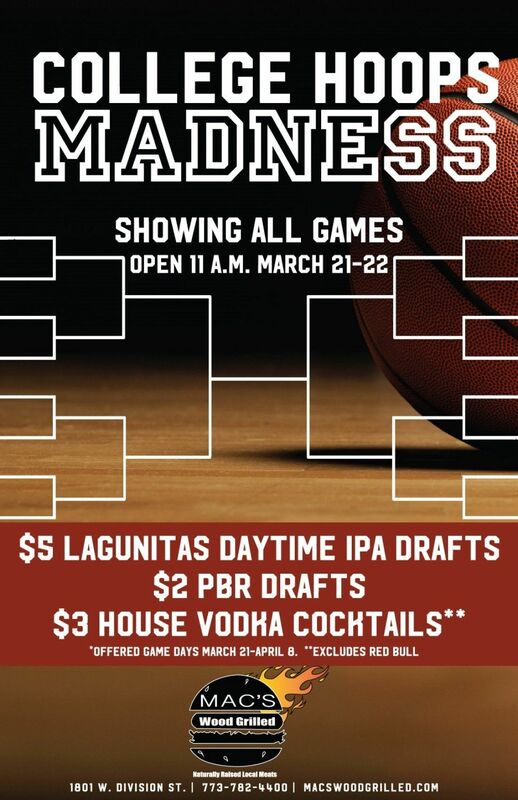 Mac’s augments the normal daily deals with $5 Lagunitas Brewing DayTime IPA drafts, $2 PBR drafts and $3 house vodka cocktails (excludes Red Bull). 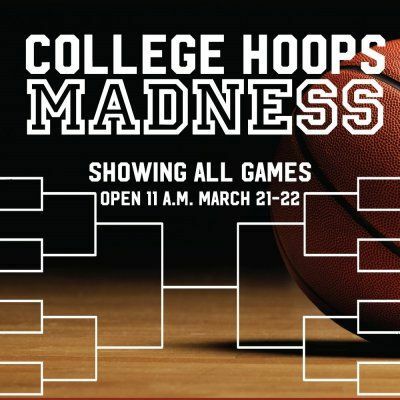 Mac’s roots for the Big Ten Conference and screens all March Madness tournament games on a dozen HDTVs (select games with sound). The bar offers expanded hours on Thursday, March 21 and Friday, March 22 (open 11 a.m.). Additionally, Mac’s opens from 4 p.m.-2 a.m. for the National Championship Game on Monday, April 8 (normally closed Mondays).